Hey peeps! We are on the cusp of Friday again and I can’t believe it! Beyond seeing back to school stuff for the kiddos, I even spotted Halloween treats and costumes this week!! What the what?! I know. Before we know it, it’ll be September and pretty much the count down to Christmas. Slow the heck down, Dawn, right? As you can probably tell, I’m just a tad freaked out by it, buuuuuut excited for the fall at the same time. Before I let go of summer, I want to share a super easy, no bake dessert which has cheesecake-ish vibes without all the fuss of an actual cheesecake. Sound good? You may remember a little while ago I shared a recipe for how to make lemon curd. It’s honestly one of my all time favourite recipes. 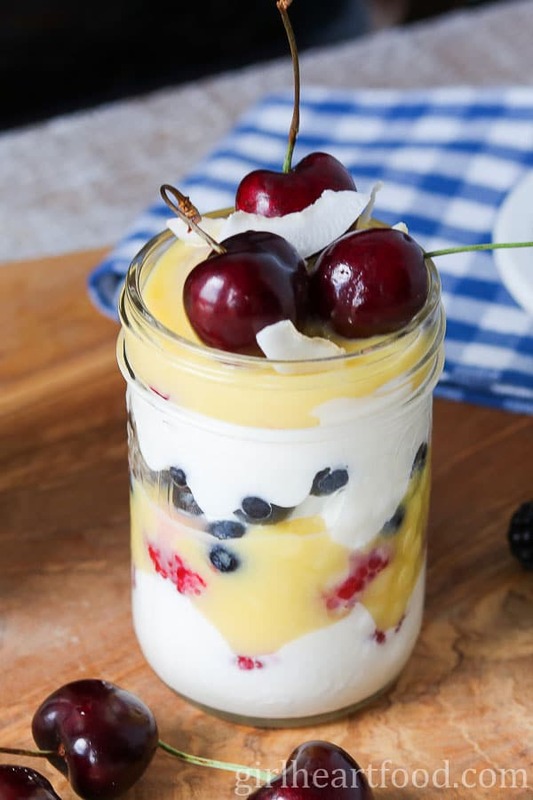 I didn’t want to eat alllll of the lemon curd as is (though, I’m pretty confident I’d give it a good go), so I incorporated it into a simple summer dessert recipe—>enter this no bake dessert in a jar. We have been having one of the best summers weather-wise in Newfoundland for as long as I can remember. It’s been sunny, hot and just fabulous! Trying to use the oven as little as possible and also eating a ton of fruit, I figured this dessert in a jar would give me my sweet tooth fix without a lot of effort. For the ‘cheesecake’ component, basically all you are doing here is whipping up some cream cheese, Greek yogurt and icing sugar until smooth and creamy. Easy peasy. I opted not to have a graham crust bottom layer, but if you like that would be totally a-ok too. Upon assembling these desserts, they are best refrigerated for a couple hours to let the flavours mingle and the ‘cheesecake’ mixture to set up and cool a bit. 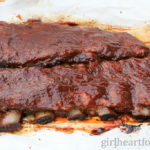 Bonus—>they are an easy make ahead dessert for entertaining! I kept the cheesecake mixture pretty simple, but you could add a touch of vanilla extract or vanilla bean should you wish. Keeping these desserts in a jar on the simpler side, I didn’t opt for a typical cheesecake graham crumb base. However, some at the bottom mixed with butter would be lovely. Crushed Oreos would work deliciously too! I used a combination of blueberries, blackberries and raspberries in the layers, but you could use whatever berries (or fruit) you like. 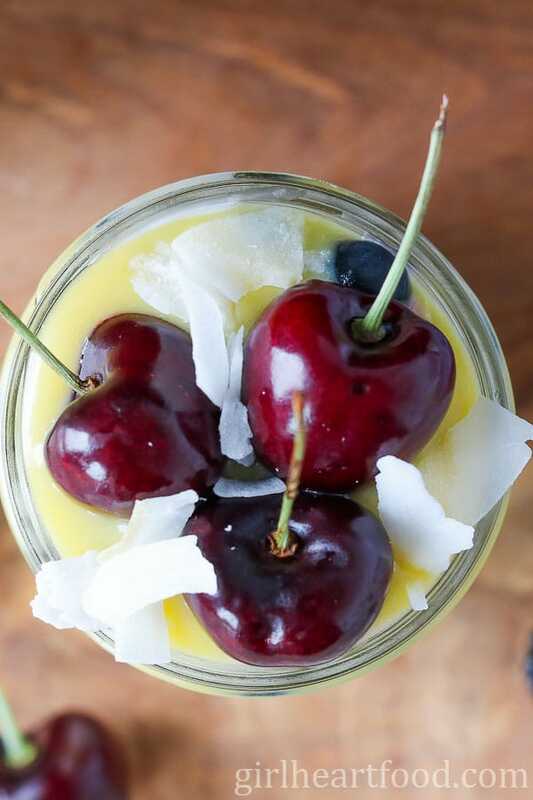 This dessert in a jar recipe could be easily doubled or tripled for a crowd. I used homemade lemon curd in this recipe, but if you couldn’t be bothered or really need that dessert quickly, go for the store bought stuff. Don’t like, don’t have or prefer not to use lemon curd? My mixed berry chia jam would work lovely here too! Hope you love this no bake dessert in a jar! Have a fab weekend everyone. In a small food processor add cream cheese, yogurt, icing sugar and salt. Blend until smooth and combined. 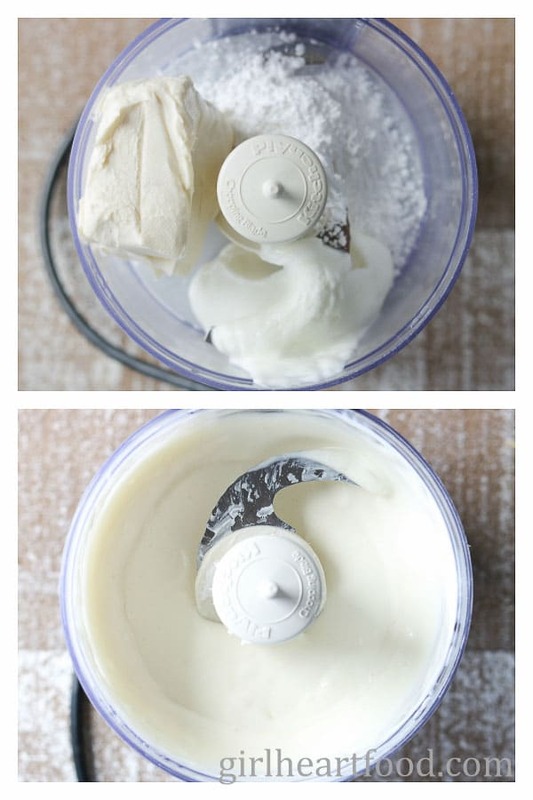 In two small mason jars add about 3 tbsp of the cream cheese mixture in each of the jars. 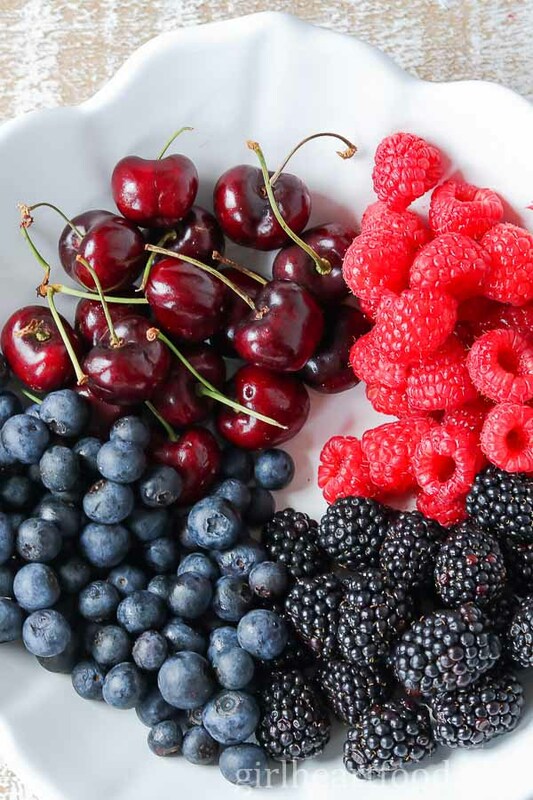 Add some berries. 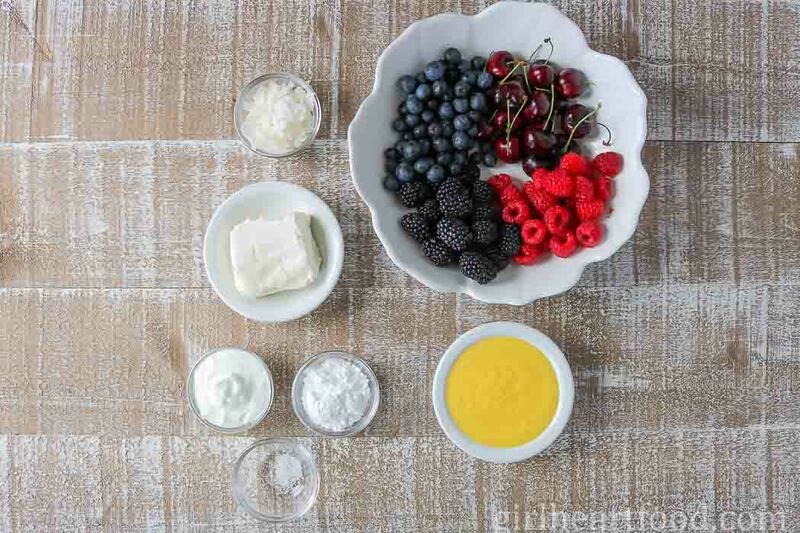 On top of berries add 2 tbsp of lemon curd in each of the jars. Repeat with another layer of the cream cheese mixture, berries, then lemon curd and berries. Garnish with coconut. Refrigerate about 2 hours. Enjoy! Upon assembling these desserts in a jar, they are best refrigerated for a couple hours to let the flavours mingle and the 'cheesecake' mixture to set up and cool a bit. Bonus--->they are an easy make ahead dessert for entertaining! Keeping these desserts in a jar on the simpler side, I didn't opt for a typical cheesecake graham crumb base. However, some at the bottom mixed with butter would be lovely. Crushed Oreos would work deliciously too! I used homemade lemon curd in this recipe, but if you couldn't be bothered or really need that dessert quickly, go for the store bought stuff. Don't like, don't have or prefer not to use lemon curd? My mixed berry chia jam would work lovely here too! I love no-bake desserts and this looks fantastic! I love individual desserts so much. So perfect to end a dinner party! Me too! That would be a lovely idea 🙂 Thanks Julie!